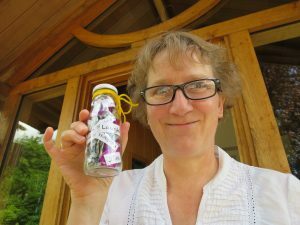 You are here: Home / Tiny Owl is off to the Hay Festival! 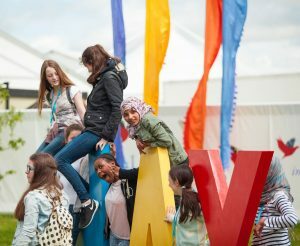 Hay Festival: a magical melting pot of international ideas! The Hay Festival in Hay-on-Wye, Wales, is the biggest event of the international literary calendar. 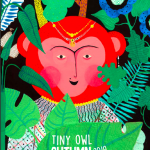 At the edge of the Brecon Beacons, it’s a magical melting pot of ideas from all over the world, attended by writers and artists, thinkers and scholars, performers and publishers… including Tiny Owl! 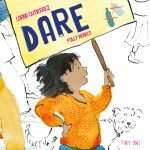 From 11.30 – 12.30pm, Pippa Goodhart, author of A Bottle of Happiness, will be holding a storytelling session and a creative workshop. What would go in your own bottle of happiness? You decide! Then from 1pm – 2pm, come and experience the ancient Persian storytelling practice of pardekhani. Complete with a beautifully illustrated canvas, our very own storyteller Alia Alzougbi will retell two of the fables of Rumi, the 13th-century Persian poet, scholar and Sufi mystic. 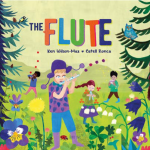 The Parrot and the Merchant is a fable of true love and freedom, and The Jackal Who Thought He Was a Peacock explores the importance of being happy with your own identity. 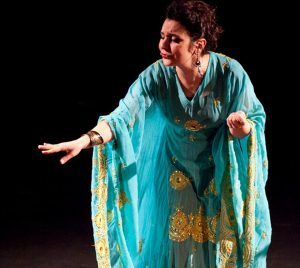 Join Alia Alzougbi for an exciting, interactive storytelling experience. 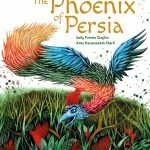 Read a review by Tamsin Rosewell: I’m not a jackal, I’m a peacock! Finally, from 2.30pm – 3.30pm, you can make your very own puppets of the Parrot from The Parrot and the Merchant, with Alia Alzougbi. The merchant Mah Jahan keeps all sorts of birds in cages for her own pleasure, but one of them will teach her an important lesson about the value of freedom. After this workshop, you can take your own Parrot home with you! Tickets for our events are sold out, but see their website below for more information on the festival.